Yes, that’s right. We are planning to use a Kickstarter campaign to help us fund the rest of our SUPER III development cycle. We are less than a month away (if everything continues to go smoothly) and I’d like to draw attention to what will likely become our most popular reward item. During FROG SORD development, we contacted an artist about working on the pixel art for our cutscenes. 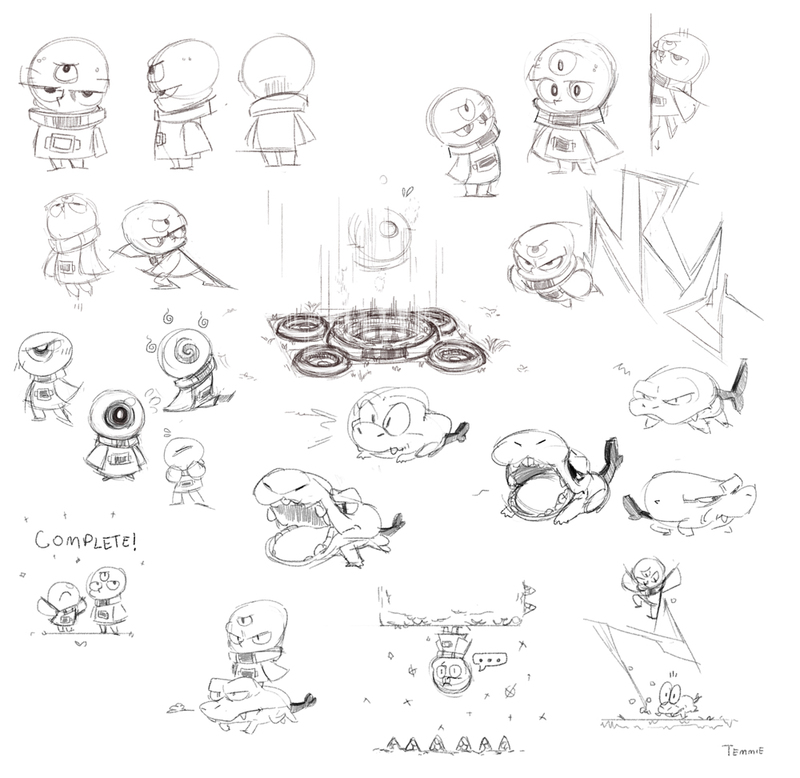 This was going to give Hunter extra time to work on other in-game art (big pieces, like bosses and menus). This artist’s name is Temmie Chang and she will be putting together an art book with all of our character concepts, early sketches, and fully rendered scenes. The banner and background images from this website are excerpts from the book! As of now, we are planning for PDF, paperback, and hardcover options. We will be updating this page with a lot more KS information as the campaign launch approaches! Thank you for your support and patience!